While Valentine’s Day is right around the corner, there is still plenty of time for your children to make their own gifts for classmates. My daughter loves being able to hand out something fun to all her classmates, so I’ve been on the lookout this year for some Valentine’s Day treat ideas that wouldn’t break the bank. 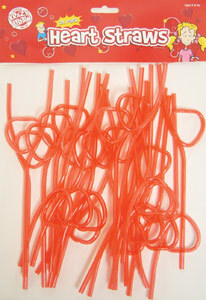 I found heart straws at KrazyStaws.com, which come in packs of 24. Meaning I can purchase enough for an entire class of 24 under $5. 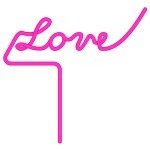 I created a free printable to go with the straws, so I won’t even have to buy pre-printed Valentine’s cards this year. I plan to attach little tags to the heart straws that reads ” You an ex-straw special friend” and “I think you’re ex-straw special” for a truly cute treat, without the sweet. 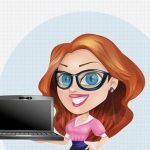 I think the kids will love them and I am sure the parents and teachers will thank me. ‘Krazy Straw’ also has these Valentine’s straw glasses for just $1.99, which I found to be a fun and quirky way to celebrate Valentine’s Day with your children. The straw glasses are easy for even tiny hands to manipulate. The front of the frame is placed on the face and the two temples of the glasses (the straws) are brought around the ears. The one straw is then placed in the glass and the other straw is placed in the mouth for drinking. They are so simple that even a young child can manage without assistance. The brightly coloured ‘frame’ is eye catching, which of course appeals to children. The idea of wearing silly drinking ‘glasses’ is so much fun as well. I have seen these glasses straws before, but am completely taken with the Valentine’s twist on this classic fun party favour. I was also quite surprised that they fit secure to the face too. My daughter loved them. 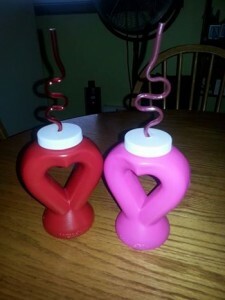 These heart shaped drink containers are a fun way to celebrate Valentine’s Day. They are perfect for drinking strawberry milk in. At $1.99 each, they are an expensive gift. Available in red, pink and purple. Don’t forget St. Patricks Day and Easter is not far away. Wouldn’t you know it- there is a Krazy straw for that. Visit the Krazy Straws website to order your Krazy straws today!